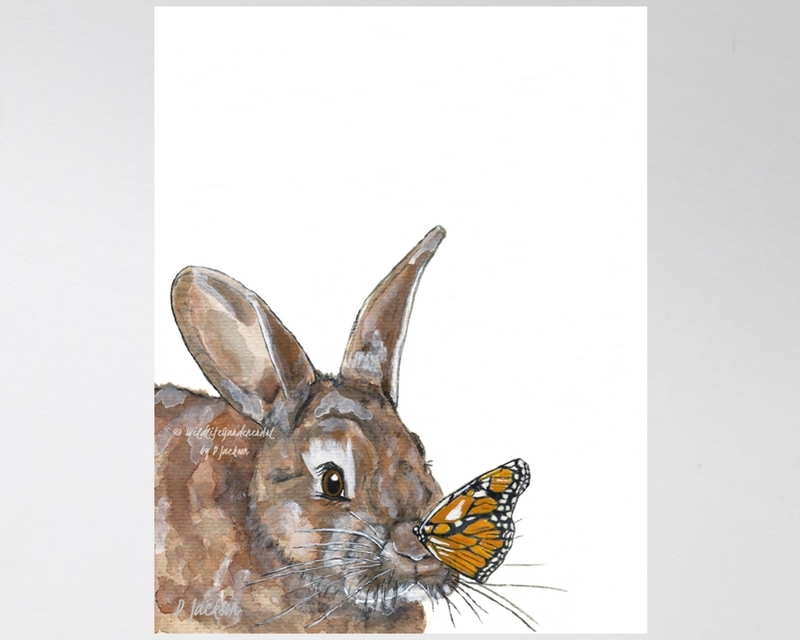 Whimsical Bunny and Butterfly Archival Art Print from my original watercolor painting. 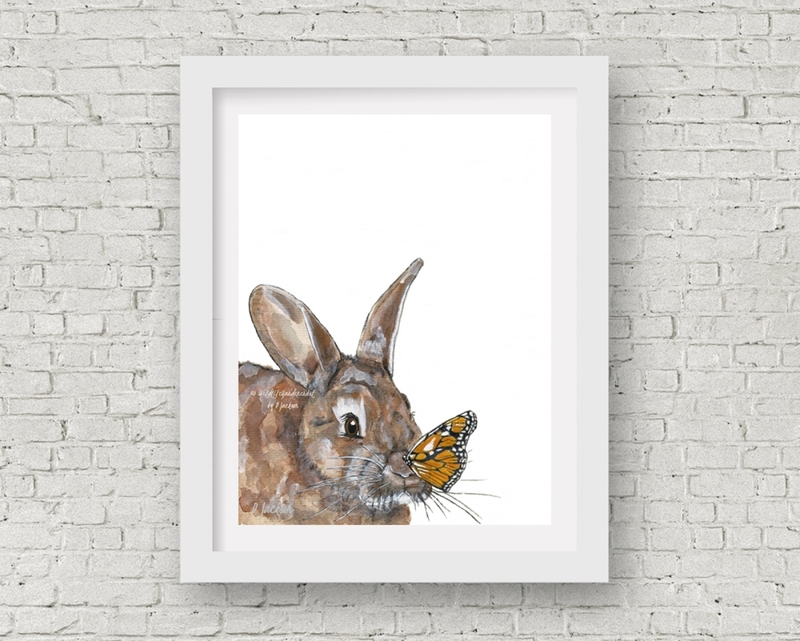 Contemporary art inspired by the bunny that lives in my garden meeting a Monarch butterfly. 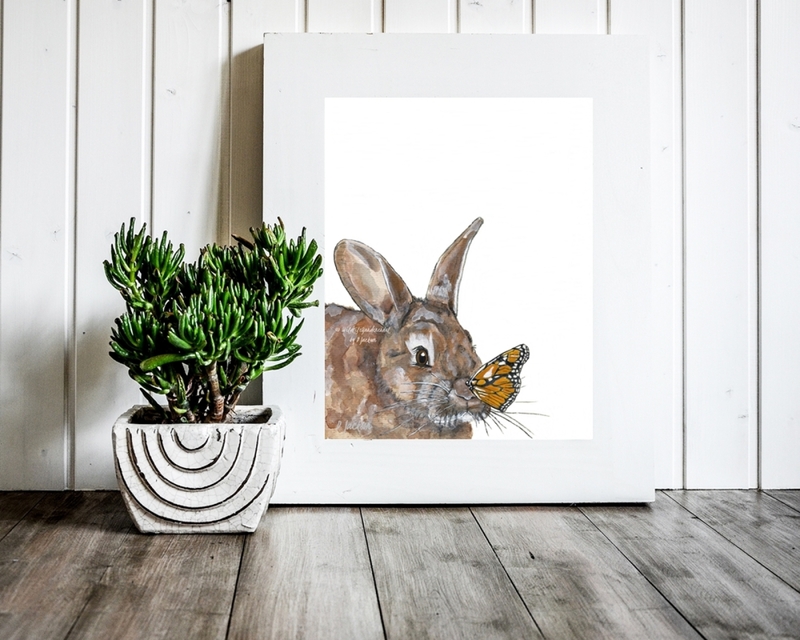 This woodland animal art will add a touch of nature to many decors from urban farmhouse to modern rustic, contemporary nurseries to dorm decor.